Having firmly established herself as an internationally recognized recitalist, the 1993-born musician travels extensively, not only in her home country of Austria, but also to Germany, Hungary, Italy, Great Britain, the Netherlands, Slovakia, the Principality of Liechtenstein and Switzerland. Notably, she has performed numerous times at the Beethoven House Bonn, at Bonn’s ‘Beethovenfest’ as well as the city’s ‘Beethoven@home’ festival and at the ‘Beethoven-Campus’. Further performances led her to the Vienna Musikverein as well as to the Schubertiade Vorarlberg. Hanna Bachmann’s frequent solo and chamber music recitals at the ‘Blüthner Concert Series Vienna’ are always received with great enthusiasm by the audience. The well-established Summer Festival ‘Kultursommer.Semmering’ 2017 even saw her perform four times, sharing the stage with Gerti Drassl and Florian Teichtmeister amongst others. She gave her successful Americas-debut in Mexico in 2018, that included performances with the Orquesta Sinfónica de San Luis Potosí under the baton of José Miramontes Zapata and giving a masterclass at the music faculty of the renowned Universidad Nacional Autónoma de México (UNAM). A few selected highlights of the season 18/19 are a concert appearance with the orchestra ‘Sinfonietta Vorarlberg’ under the baton of Tibor Bényi, her debut in the Berlin Philharmonie as well as concert tours to Great Britain and the US. Her lied and chamber music partners include Angelika Niakan, Isabel Pfefferkorn, Lea Müller, Maximilian Hörmeyer, Roland Lindenthal, Dominik Wagner, Veronika Blachuta and Julia Hagen among others. In addition to claiming numerous top prizes at both national and international piano competitions, such as first prize at the ‛International Bachelor Piano Award 2015’ in Düsseldorf, Hanna is also a proud recipient of the Vorarlberg’s ‛Richard-Wagner Scholarship’. Hanna’s debut CD with works by Janacek, Beethoven, Ullmann and Schumann was released in November 2016 by the German label TYXart. The press has praised her ‘astonishing maturity’ and ‘promising future perspectives’ (Klassik.com), and has acclaimed her interpretations as ‘pianistic-musical promises’ (Glarean-Magazine). Her second album is dedicated to the topic humour and was published in November 2018 by the Austrian label Gramola. This rising musician was accepted as a student of Ferenc Bognar‘s class at the Vorarlberg State Conservatory in Feldkirch at the age of twelve, before moving to Florian Krumpöck in Vienna. 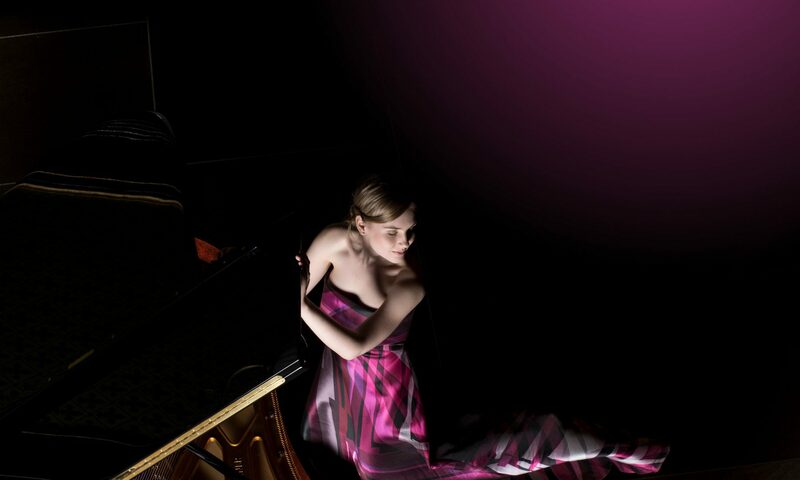 From 2011 to 2017 she studied with Pavel Gililov at the Mozarteum Salzburg, where she completed both her Bachelor’s and Master’s degrees with distinction. Hanna has also received further artistic guidance from distinguished artists such as Elisabeth Leonskaja, Elisso Virsaladze and Daejin Kim amongst others.